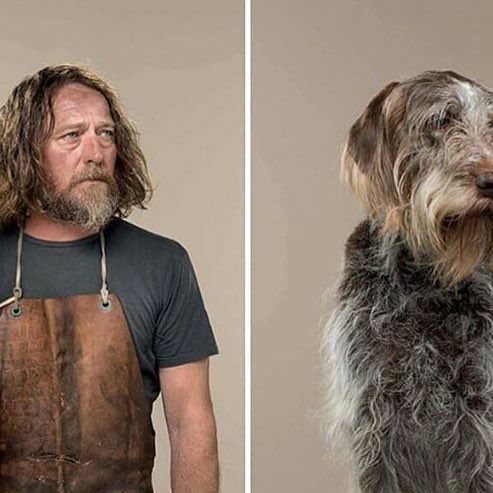 Dogs who look eerily like their owners have long been a fascinating and amusing subject, but one British professional pet photographer decided to take that idea and make a game out of it. 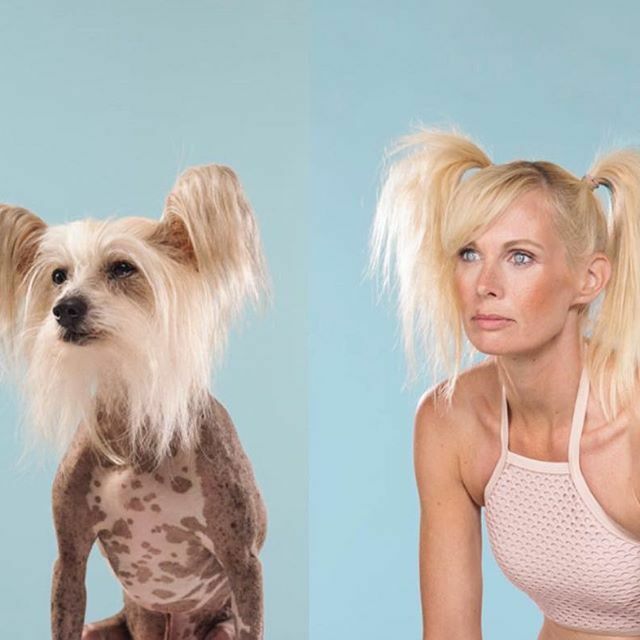 Gerrard Gethings selected 25 different breeds of dogs from a social media open call, and then he set out to locate people who "matched" the dogs' looks who were willing to take part in the project. The results are a series of incredible pictures and one fun memory game. Gethings was inspired by his previous work with dogs to create a memory game called Do You Look Like Your Dog? Finding the dogs was easy; finding people who closely resembled the dogs was something Gethings was secretly worried about. 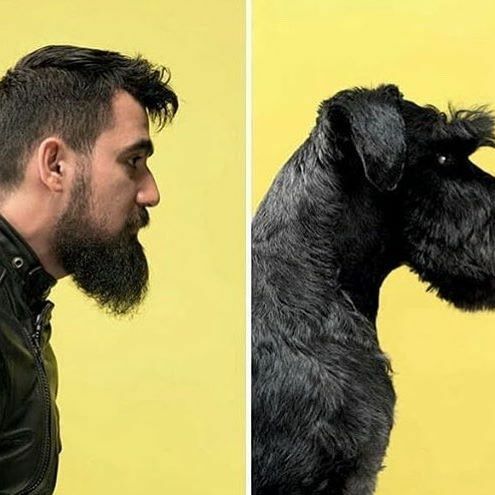 Once Gethings had his dog and human models lined up, he brought in stylists to help both subjects look similar for the photo shoots. “For the purposes of the game, it was necessary that the similarities were really strong, in order that the pairs could be easily put together, particularly by kids,” Gethings explained. Sometimes the stylists had to get creative, such as when they were working with a woman named Emma who was paired up with Ralph, a Hungarian Puli. 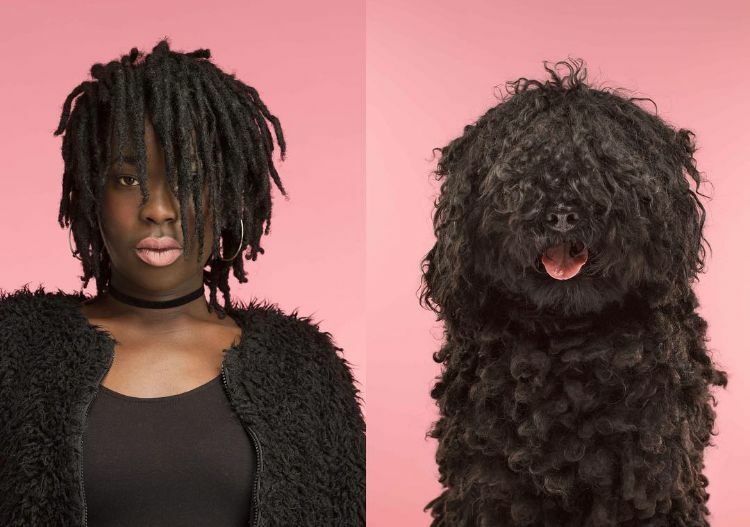 Emma's dreadlocks matched up perfectly with Ralph's fur, but the stylist added some extra details to make the picture pop. “The makeup artist [also] made her lips very bright pink, which mirrored the dog’s panting tongue,” Gethings said. The success of Gethings' photos and memory game are in no small part due to his talent as a photographer, but some of that success is also based on science. Research conducted over the last 15 years has found that dog owners do indeed have some similarities to their canine companions. In 2003, a University at California study found that participants could identify a dog's owner two-thirds of the time correctly. Survey respondents in a 2014 study through Kwansei Gakuin University were able to match 80% of dogs and their owners. 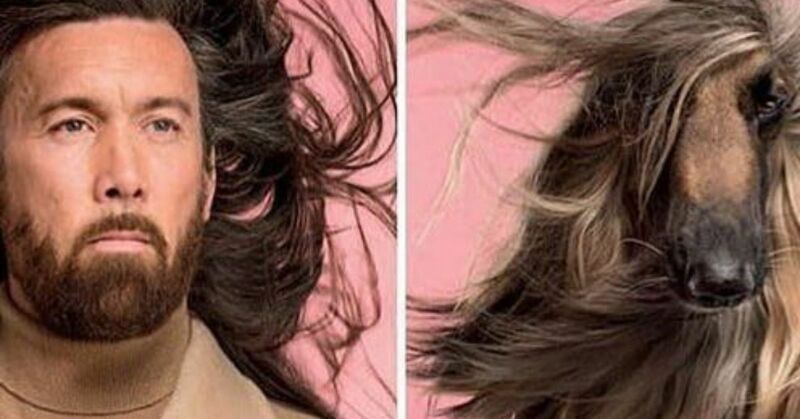 Psychologist Sadahiko Nakajima took this experiment a step further by asking 500 people to look at two set of photographs. One set was a real dog-owner pair whereas the other set was a random person and dog pairing. Some parts of the pictures were blacked out or "masked," such as the person's mouth or the dog's eyes. 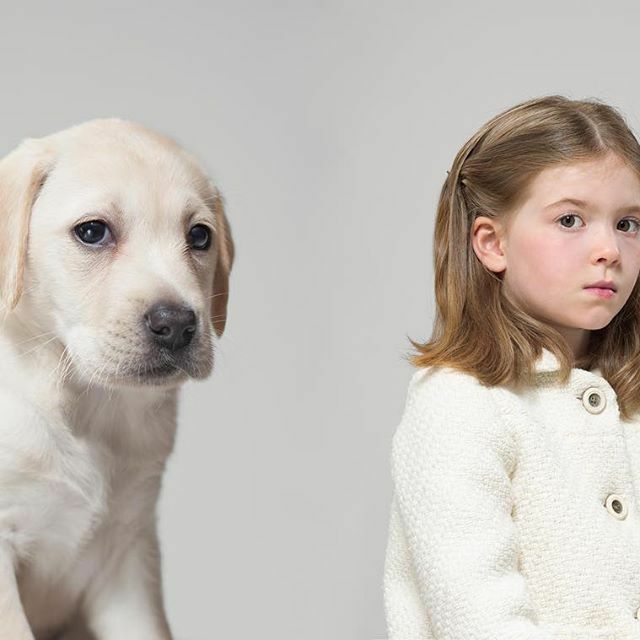 The participants were asked to select the owner-dog pictures that most resembled each other. In pictures where the owners' mouths were concealed, the survey respondents were accurate 73% of the time. When the eyes of either human or dog were blacked out, the identification level fell to 50%. 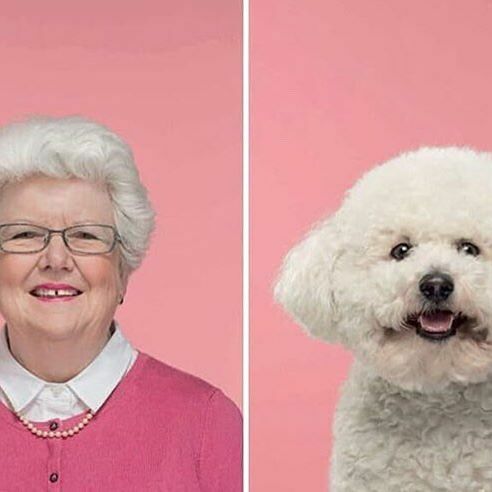 Interestingly, for the pictures where only the dog and owner's eyes were shown, the respondents were 74% correct in identifying dog-owner pairs. The study results “clearly show that individuals make decisions on dog-owner resemblance primarily by comparing features of the eye region between dogs and owners,” Nakajima said. Gethings was clearly onto something when he devised his memory game. 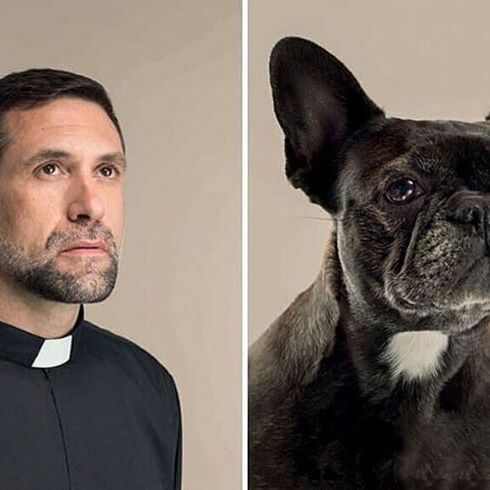 Science aside, it's lots of fun to check out pictures of owners and dogs who look like each other. Do you look like your dog? Get your camera out and start taking some pictures. In the meantime, check out the video below for more of Gethings' amazing photos.